Today, most companies worth their salt offer some kind of a training program to their employees. Training, seminars, conferences and e-learning are all part of an employee's growth towards getting better at what he or she does. It is a company’s responsibility to ensure that there are enough training programs for an employee to get better at his work. These training programs should also come with certifications so that the employee feels motivated. If you are unable to get external accreditation for your training programs, an internal and informal certificate is also good enough to boost the levels of enthusiasm among employees and to get them to sign up for such programs. 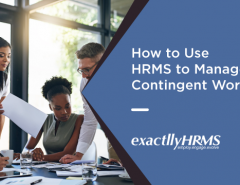 What's more, both training and certifications can be automated with the help of an HRMS. One of the best way to retain employees is to provide them valuable training and show them that you really care for them. For you, it is again useful because you not only retain employees who have been well trained but also ensure that productivity increases thanks to increased levels of skills. What must an HRMS do with respect to internal certifications and training? An HRMS should be able to manage training recommendations based on internal subject matter experts. It should be able to record the activities of classroom training and provide online training within its interface. 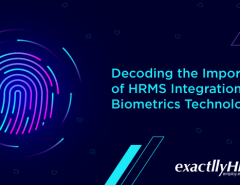 Instructors and employees can interact with each other using an HRMS interface and webinars can be held just for internal employees with codes and passwords. It is a good idea to integrate training with employee performance management and tie it with automated appraisals, another useful feature of an HRMS. Employees can later be asked to provide feedback and evaluate how useful the training was to them. This allows you to design and structure course material depending on what the feedback was. Employees can receive automated emails and reminders about their assignments, tests and performance during and after training. This helps employees to remain motivated and seek more of these internal certifications. As an HR professional, these internal certifications help you to choose your best employees for promotions and for tasks that require more responsibilities. There are a number of reasons why internal certifications are important. They help you to boost the morale of your employees while they gain helpful knowledge. This knowledge is in turn helpful for you as a company, as that your employees do better work with increased skills. Employees' increased skills will help you to reap the benefits before they quit their jobs. Though investing in employees is becoming difficult because of the culture of impermanency, they will still be useful because employees tend to stay back when they are provided training and other opportunities. Moreover, you could lure the employees to stay back with promotions, which they certainly deserve after having completed internal certifications related to their areas of specialization. 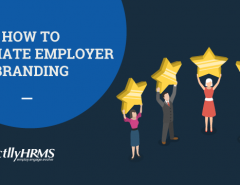 At the end of the day, internal certifications, when integrated with HRMS provide an effective way to boost productivity in general and to retain useful employees. Speak to your HRMS consultant today about how you could integrate internal certifications within your HRMS. 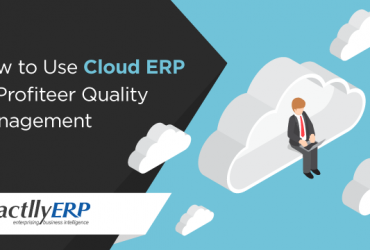 Previous Article Has Cloud ERP Saturated? 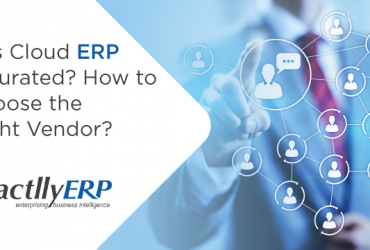 How to Choose the Right Vendor?